About 50 Cabrillo employees attended a Mental Health First Aid Class on Feb. 22. The eight-hour training course teaches how to identify, understand and respond to signs of mental illnesses and substance use disorders, said Janice Aharon-Ezer, Cabrillo’s Director of Resident and Community Services. “The training prepared all of us, lay people to professionals, on how to approach and assist someone with mental health problems that are actively occurring and people who may be suicidal and homicidal,” Aharon-Ezer said. The one-day course was made possible through the Mental Health Services Act and was presented by a representative of Ventura County Behavioral Health. 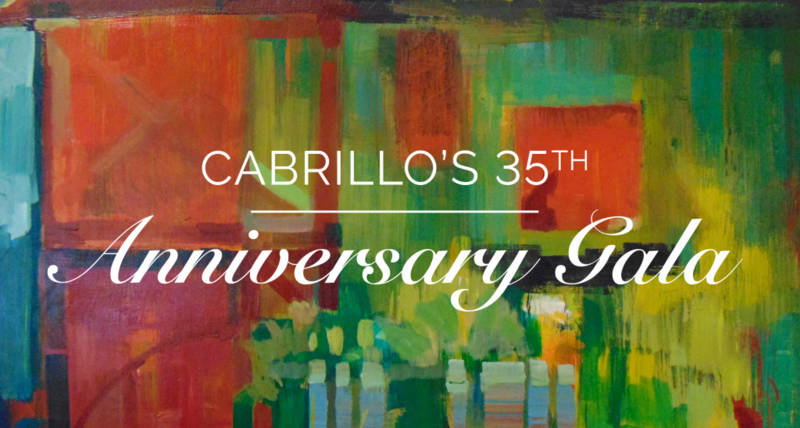 Cabrillo will be honoring Barbara Macri-Ortiz and Jaime Bordenave for their efforts and advocacy as champions of affordable housing in Ventura County during CEDC’s 35th Anniversary Gala from 5:30 to 8:30 p.m. Sept. 28 at the Tower Club, 300 E. Esplanade Drive in Oxnard. The evening will include a gourmet dinner, silent and live auctions, and awards presentations with keynote speaker Rick Najera, named one of the “most powerful and influential Latinos in entertainment,” by the Imagen Foundation. The funds raised from this event will provide affordable housing and make it possible for us to improve lives through ongoing educational and social programs, financial education programs, food pantries, and after-school tutoring and reading clubs for children. Tickets for the event are $100 and can be purchased online. For questions about sponsorship or auction donations, please contact Organizational Advancement Manager Jeanette Villanueva at 805- 672-2597 ext. 147 for details. 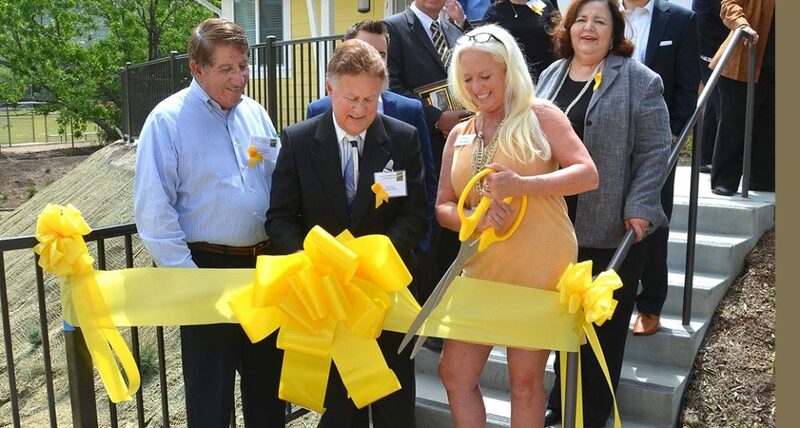 Cabrillo Economic Development Corporation held a Grand Opening and Ribbon Cutting Ceremony for its newest affordable housing property on April 6 with about 150 people in attendance. Camino Esperanza in Simi Valley provides housing for seniors and those with disabilities. “Cabrillo is proud to be a participant in the housing element for almost every city in the county from Simi Valley to Ventura, Camarillo, Oxnard, Santa Paula, Fillmore and Piru. We are the only nonprofit based affordable home builder based in Ventura County that can make that claim,” said Dave Sabedra Cabrillo board president. The event included open house tours of two of the 31 units on the property; a ceremony featuring state, county and local elected officials, Simi Valley city planning officials; property funders; and community organizations and nonprofits with a luncheon for residents and attendees following the ceremony. About 15 residents already have moved in and are enjoying setting up their apartments and getting to know one another. During the ceremony, resident Patricia Spensieri spoke about what Camino Esperanza means to her. “Welcome to Camino Esperanza, it really is a little slice of heaven. I’ve never seen anything like this. I was a homeowner, and I feel like a homeowner again,” Spensieri said. “I love it. I love the back door, the porch. It’s like a dream come true, honestly. I really never thought that I would have my own place again, and you’ve really made a dream come true for me. Cabrillo Chief Executive Officer Director Margarita H. De Escontrias said that to meet the need for affordable housing in Ventura County, it would require more than 26,000 affordable rental units. “We are far short, but striving to achieve this goal, and it will take all of us in affordable housing working together,” she said. She recognized the County of Ventura’s Area Housing Authority and Many Mansions as well as project funders, including Bank of the West, Raymond James Tax Credit Funds Inc., Ventura County Housing Trust Fund, the State of California Housing Community Development’s HOME and Multifamily Home Program and the City of Simi Valley for their roles in the project’s success. The ADA-accessible property includes a community room, and barbecue and sitting areas for residents and has many unique features, such as basin water infiltration system rather than storm drains. Other features include energy-efficient appliances, under-cabinet lighting and contrasting edges on countertops, which are especially helpful for seniors. Escontrias also recognized community organizations who provided referrals, awareness and support of the project, including Tri-Counties Regional Center, Ventura County Health Care Agency, Ventura County Area Agency on Aging, Simi Valley Senior Center, Catholic Charities, Salvation Army, Millennium Care, FOOD Share and ARC of Ventura County. To see additional photos of this event, visit our Facebook Page. To see coverage from the event, visit the Simi Valley Acorn. The press and public are invited to the grand opening and ribbon cutting ceremony for Camino Esperanza, Cabrillo Economic Development Corporation’s newest affordable housing complex in Simi Valley. The event will take place at 11 a.m. Thursday, April 6, 2017, at Camino Esperanza, 1384 Katherine Road South, Simi Valley. A luncheon will follow the program. This will be a beautiful and needed addition to Simi Valley’s Senior Housing units. Further proof that affordable can be attractive, well made and planned responsibly,” said Simi Valley City Council Member Mike Judge. 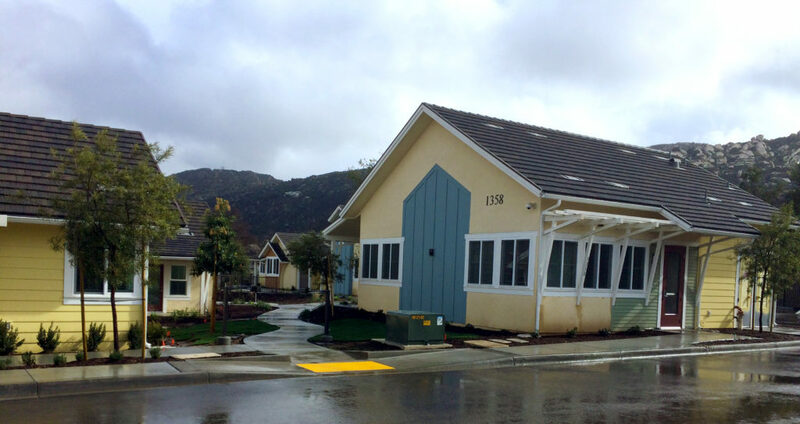 With a backdrop of the beautiful Santa Susana Mountains, Camino Esperanza features 31 affordable homes with modern amenities for seniors with special needs. The complex features a community room, and barbecue and sitting areas for residents. The program will feature the following speakers: Cabrillo Executive Director Margarita H. de Escontrias, Cabrillo Board President Dave Sabedra, Huber and various community members and residents. If you are interested in attending the Grand Opening, please RSVP below. VENTURA, Calif. – The Board of Directors of the Cabrillo Economic Development Corporation (CEDC) is pleased to welcome the addition of real estate professional Sher Heard to its Board of Directors. A licensed Realtor since 1985, Heard has worked in various capacities of the real estate industry. She is currently in real estate sales and co-owner of Comfort Real Estate Services, where she serves as the office training manager and new agent mentor. 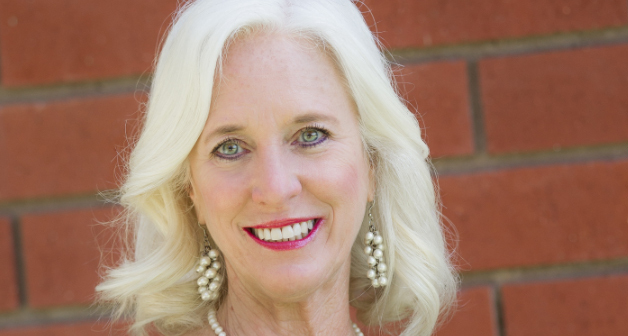 She is also on the Board of Director of the Ventura County Coastal Association of Realtors and past president of the Ventura Chapter of the National Association of Hispanic Real Estate Professionals (NAHREP). Heard has received several awards over the years, including the First Affiliate of the Year from NAHREP and Affiliate of the Year by the Ventura County Coastal Association of Realtors three times. She has worked with many nonprofit organizations, including, the Boys & Girls Club, Easter Seals, CAAN, Casa Pacifica, and most recently the American Cancer Society. She is also a graduate of the Ventura County Leadership Academy. My name is Gena Brookes, and I have been a VIP AmeriCorps volunteer at Cabrillo Economic Development Corporation since Sept.21, 2016. 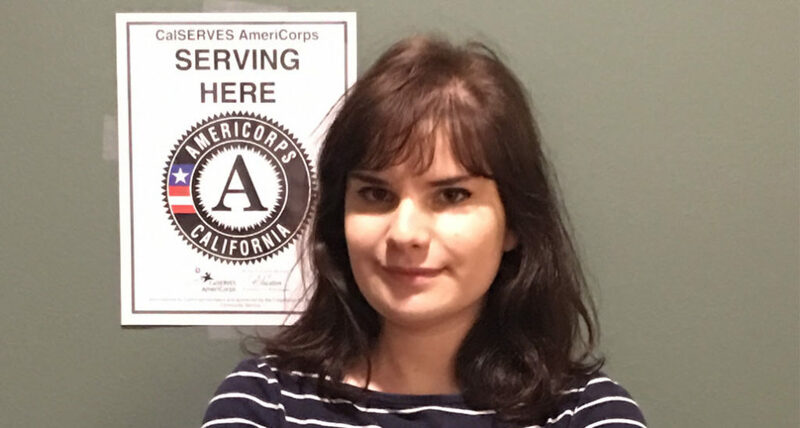 My AmeriCorps project is the “Volunteer Infrastructure Project,” which will take place within an 11-month period and result in the fulfillment of about 1,700 service hours at Cabrillo. As an AmeriCorps member, this position requires me to bolster Cabrillo’s volunteer outreach in the following areas: recruiting, fundraising, training and building infrastructure/capacity. I received a bachelor’s degree in English Literature last spring from the University of California, Berkeley. After deciding to take a year off to prepare for law school, I researched volunteer opportunities within nonprofit organizations, having had positive experiences with volunteer work throughout high school and college, including time with CAPS TV, Ventura County’s regional television station. During college, I worked with several on-campus volunteer initiatives, such as FeelGood, which strives to eliminate hunger and poverty by the year 2030. After interning with the United Way of Ventura County for several months, I learned of an opportunity to work as an AmeriCorps VIP Volunteer. I was hesitant to apply at first because the lengthy commitment would require my plans for law school be put on hold. However, after researching the program, I applied because of AmeriCorps’ influential history and dedication to “getting things done” throughout the country. I was motivated by AmeriCorps legacy of strengthening and improving communities through the nonprofit sector, and in a diverse mix of fields, including education, public safety, housing and the environment. By bolstering nonprofits and the volunteer climate, AmeriCorps members help strengthen the organizational, administrative and financial capacity of an organization. Founded under the Clinton Administration in 1993, AmeriCorps is a national service program supported by the U.S. federal government, formed as an initiative of the Corporation for National and Community Service (CNCS). AmeriCorps was designed to “foster the ethics of service, and address the most critical problems within the nation.” AmeriCorps programs also shed light on the various programs, organizations and institutions the volunteers work with during their service. AmeriCorps often has been described as the “domestic Peace Corps,” offering a wide-range of challenging and enriching full-time and part-time nonprofit public service opportunities throughout the country. The different branches of AmeriCorps programs include the Volunteers in Service to America (VISTA), state and national programs, and the National Civilian Community Corps (NCCC). Since its inception, AmeriCorps has contributed an estimated 1.4 billion hours in service across the country, and as of 2016, has recruited more than 1 million AmeriCorps members. Besides gaining professional skill development and work experience, AmeriCorps members benefit from additional services, such as receiving financial compensation in the form of cost-of-living allowances, student loan deferment, public service loan forgiveness, and the AmeriCorps Education Award. AmeriCorps also has made efforts in the advancement of social innovation across the country, investing in organizations recognized for their citizen problem-solving achievements, such as Teach for America, City Year, YouthBuild, JumpStart and Experience Corps. Although I’ve only been at Cabrillo for four months, I have greatly enjoyed my time working and developing my professional skills as an AmeriCorps volunteer alongside the wonderful staff. At Cabrillo, I primarily work with the Resident and Community Services Department (RCS), helping track various services, document volunteer involvement, obtain donated books and library supplies for CEDC properties, and assist with Cabrillo’s upcoming 35th anniversary gala. Along with volunteering at the corporate office, I occasionally assist the RCS team with residential activities, such as Senior FOOD Share events at the Santa Paulan Apartments in Santa Paula, the Kid’s Farmers Market and Dia de Los Muertos events at Villa Victoria Apartments in Oxnard, and the CSU Channel Islands student volunteer homework club orientations at various Cabrillo sites. The RCS department also has a diverse mix of community-building programs that focus on improving education, income, homeownership, financial support, health and wellness, and civic participation. Some of these programs could use additional volunteer assistance, including the homework clubs, tutoring and English as a second language classes, kid’s farmers markets, nutrition programs, clean-up days, community gardens, movie nights, arts and crafts events, and seasonal festivals. The Cabrillo Economic Development Corporation is requesting support for the family of Maria Paniagua, a Cabrillo resident in Piru whose life was tragically taken in a devastating car accident earlier this week. 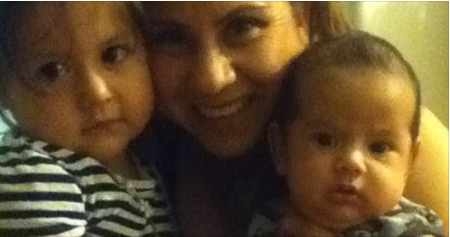 Maria’s 4-year daughter and 2-year old grandson were with her in the accident, and in critical condition. Maria is survived by her daughter’s Anayelli and Josie. There are several efforts underway to help this family. You can donate funds to www.gofundme.com/8m-maria-paniagua-funeral-expense. Gateway School in Camarillo, where Maria’s daughter attends school, is also accepting donations for the family. If you can help, this family desperately needs our support. 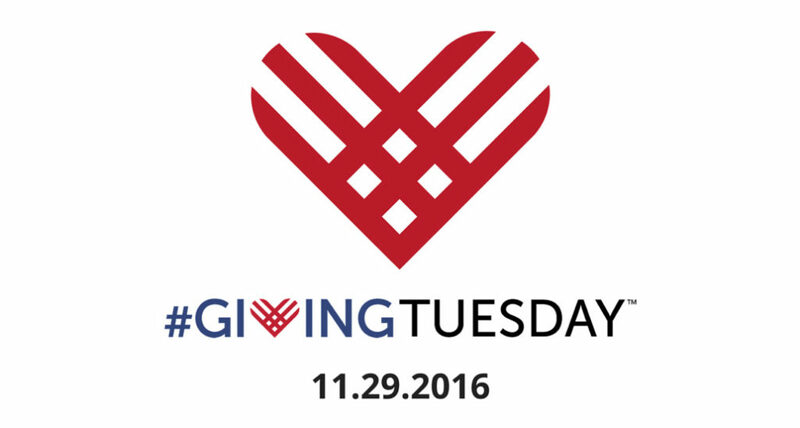 This year, on Tuesday, November 29, 2016, Cabrillo Economic Development Corporation is participating in #GivingTuesday, a global day dedicated to giving. Last year, more than 45,000 organizations in 71 countries came together to celebrate #GivingTuesday. Since its founding in 2012, #GivingTuesday has inspired giving around the world, resulting in greater donations, volunteer hours, and activities that bring about real change in communities. We invite you to join the movement and help us celebrate 35 years of changing lives through affordable housing. Help us bring Community HOME and donate today! The Board of Directors of the Cabrillo Economic Development Corporation (CEDC) is pleased to welcome the addition of housing attorney Ada Cordero-Sacks to its Board of Directors. Principal of the Law Offices of Ada R. Cordero-Sacks, she is one of Los Angeles’ premier multifamily housing attorneys. An expert in guiding projects through state and federal housing agencies, Cordero-Sacks has helped to create numerous affordable housing projects. Her specialties include representing affordable housing developers of multifamily housing projects from pre-development to placed-in-service; Representing nonprofit owners in refinancing and/or selling their HUD-insured 202/236 projects, transfer of physical assets; as well as representing owners in asset-management compliance issues and unlawful detainers. 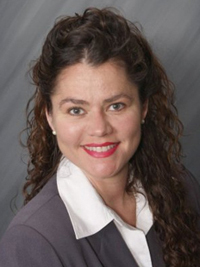 She also practices immigration law and is a native Spanish speaker. Prior to going into private practice, Cordero-Sacks worked as an attorney for the Housing Authority of the City of Los Angeles, Federal Department of Housing and Urban Development, and the Community Development Commission of the County of Los Angeles. She is also a member of the American Bar Association (Affordable Housing section), Los Angeles County Bar Association, Southern California Association of Nonprofit Housing, Apartment Association of Greater Los Angeles, Mexican American Bar Association, and Delta Theta Phi Law fraternity. Cordero-Sacks has a Bachelor of Arts degree in Political Science and a Master of Arts in Urban Planning, both from the University of California at Los Angeles. She also earned a Juris Doctorate at the University of West Los Angeles. 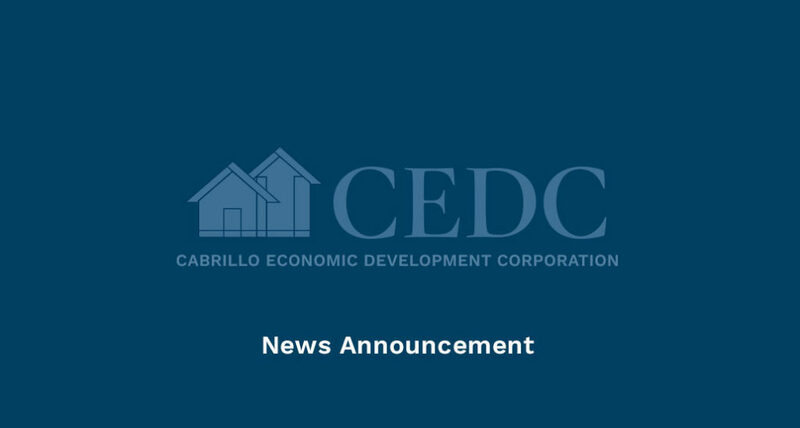 Cabrillo Economic Development Corporation (CEDC) has two Santa Barbara County projects in development slated for the communities of Buellton and Guadalupe. The Village Senior Apartments, located at Highway 246 and McMurray Road in Buellton, is now in the planning and development phase. It will include 49 affordable units and one manager unit. The property will feature a distribution kitchen for events and the local Meals on Wheels program, a community room, community garden area and extensive walking paths. The development is part of a larger Specific Plan area, known as the Village Specific Plan (currently in construction by others) which includes commercial amenities and market rate housing units. Cabrillo also has an affordable housing project planned for Guadalupe, a small city on the Central California coast. Guadalupe Court Apartments, located at 4202 Eleventh Street, will feature 37 affordable units and one manager unit. It will include an open courtyard, community center and a playground.